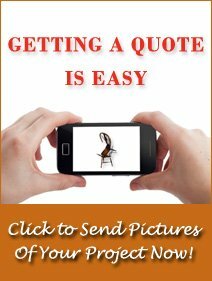 As one of the leading furniture restoration and repair companies in the world, Furniture Medic is widely renowned for our wood furniture refinishing and restoration services. Many people choose wood furniture for their homes because of its durability and appearance and our wood furniture repair services will help preserve the look and value of your furniture. Our technicians at Furniture Medic by MasterCare Experts are highly trained in wood furniture refinishing, repair, and restoration to provide quality services for all wooden furniture types to Naperville, Aurora, and the surrounding areas. 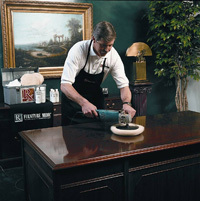 Our Furniture Medic by MasterCare Experts team will help you make your furniture looks just like that! Precision Repair: Repair of small damages such as scratches, dents, nicks, gouges, burns, and stains among others. Re-Gluing/ Minor Adjustments: Re-gluing and stabilization of broken parts and structural damage; readjustment of cabinet drawers and doors. Finishing: Our professional deluxing process repairs surface scratches in the finish to restore the furniture’s original character. Restoration/ Finishing: Factory finish of wood furniture with noticeable wear and discoloration using our water-based products; color matching and color change services included. Inspection and assessment of the wood furniture to decide on the best repair and restoration methods. Water damaged wood furniture may have to dry for up to 2 weeks before restoration work can begin. 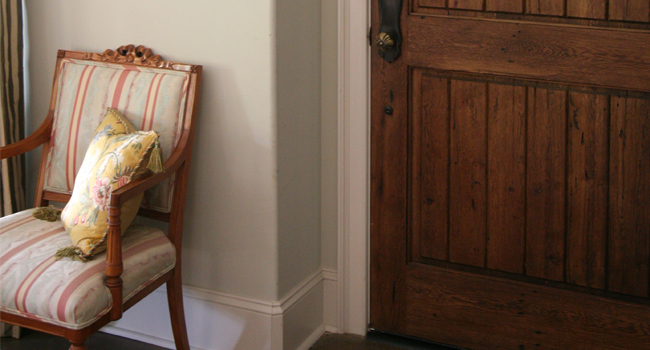 Decide whether to do the job on-site or take the furniture to the shop. You must sign an authorization form before any work can be done. You are given a satisfaction form to sign once the work is done to confirm your satisfaction with the completed job. The staff of Furniture Medic by MasterCare Experts understands the importance and value of your wood furniture and our wood furniture refinishing, repair, and restoration services will restore your furniture to its original condition for a fraction of the cost of replacing it. 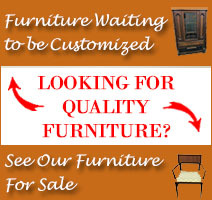 We have the training and experience to repair and restore any type of wood furniture and revitalize its natural beauty. Contact Furniture Medic by MasterCare Experts at 630-653-3131 for our wood furniture refinishing and repair services in Naperville and Aurora. If your home or business is located somewhere in Oakbrook or Hinsdale IL, you might want to check our wood furniture refinishing and repair services for Oakbrook and Hinsdale IL.